Ishiagu Town Highlights: One of the largest village groups in Ivo LGA. Known for its pottery (clay pots) and abundant agricultural produce. Location of Federal College of Agriculture. 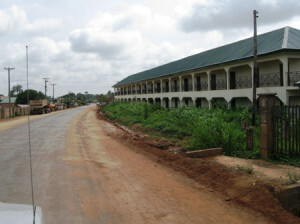 Hometown of the Secretary to the Federal Government, Anyim Pius Anyim. Hometown of former Abia State Governor and former ANPP Chairman, Ogbonnaya Onu. Ishiagu is a town in Ivo Local Government Area, Ebonyi State, Nigeria. Ishiagu is comprised of seventeen villages of varying sizes – one of the largest village groups in Ivo Local Government Area. The communities that make up present day Ishiagu cite a common ancestry and function as a homogeneous village group despite historical evidence indicating that the original settlers migrated from different locations at different times. 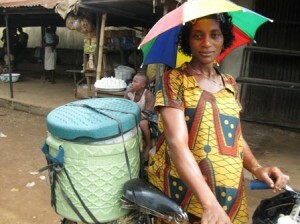 The people of Ishiagu are mostly farmers, traders and civil servants. The town is blessed with abundant and fertile farmland. The Federal College of Agriculture, a research and training institution is located in Ishiagu. Ishiagu is also home to some of Nigeria’s prominent public figures. The Secretary to the Federal Government and former Senate President, Chief Anyim Pius Anyim, is from Ishiagu. Also from Ishiagi is the former Governor of Abia State, former National Chairman of the All Nigeria Peoples Party (ANPP) and leader of the newly-registered All Progressives Congress (APC) in Ebonyi State, Chief Ogbonnaya Onu.